These past few days, the Philippines has been graced with the presence of Pope Francis. What He imparted to the Filipinos, especially those that have been affected by the Yolanda typhoon, was so special and valuable that it reminded everyone that God IS here, and in fact He has always been here -- with us. He has been walking with us every step of the way... and although we know this truth, it sometimes takes another person to remind us of it. Pope Francis has been instrumental to pointing people back to God -- Jesus Christ is the only way, and all glory, honor and blessing go back to Jesus. 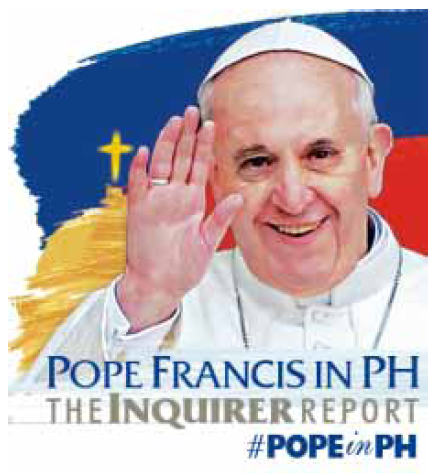 Click here for his homily in Tacloban. ... and here for his message at the Youth Encounter.